Hewlett-Packard is launching a new ad campaign today for the TouchPad tablet and it sounds rather messy. I read about it in The New York Times ad column and hope it’s just poor reporting. The story was written by Elizabeth Olson. HP is late to market with the tablet and needs to get noticed. 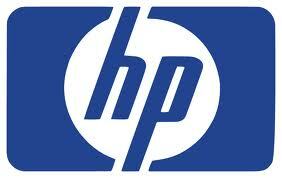 HP has a new operating system (OS), which will drive all its hardware devices. Called webOS, it will integrate their smartphones, PCs, printers, tablets and soon other devices and appliances. It’s a cool promise, but s complicated story. Printers are a big franchise and potential differentiator, so HP wants to make them more relevant. The purchase of Palm and the growth of the smartphone market has made the mobile business a critical growth component. HP is not a big brand with Millennials and teens. That is a lot of stuff to convey. If you have to say 5 things, you’ve said nothing. The NY Times story starts out talking about a new commercial with Russell Brand. I’m feeling it. A little old school, but I’m feeling it. Then it says there are executions with stars from iCarly and Glee. The future holds spots/vids from Lebron James and Jay-Z and Lady Gaga did some work in May but has not re-upped. Add to that, all the social media contests (100 free TouchPads) and Twitter tchotch and you begin to see how it’s going to be hard to find the idea. Goodby Silverstein is a great ad shop, but it doesn’t sound as if it hasn’t corralled this herd of goats. My head is spinning. I hope it is just a lot of info, not well organized, by a reporter from another newspaper beat. And I’m no Leo Apotheker. Peace! Previous articleFUE. webOS. Lessons from Zude.